The stripes on this hat spell "hat" in binary computer language. It was the perfect Christmas gift for a geeky family member of mine! 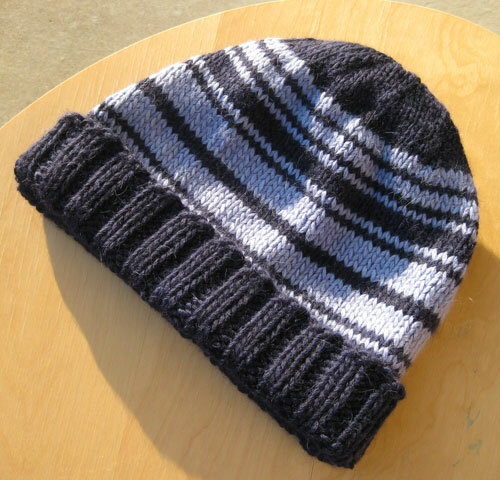 I used this binary hat pattern. 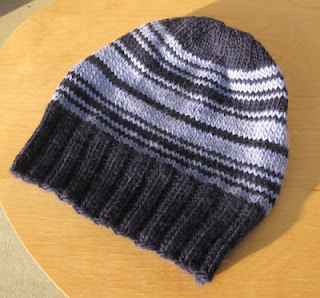 It is knit from Blue Sky Alpaca Worsted Hand-Dyes in midnight blue and iris.